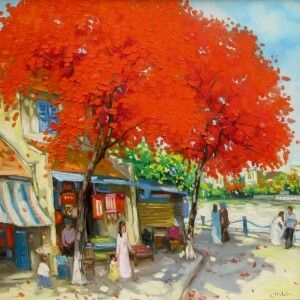 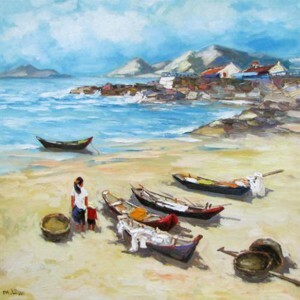 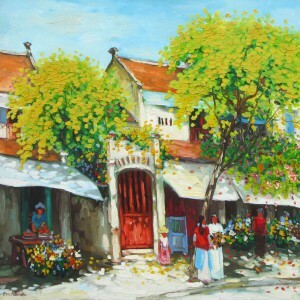 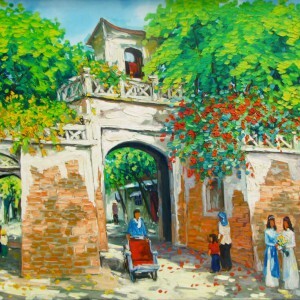 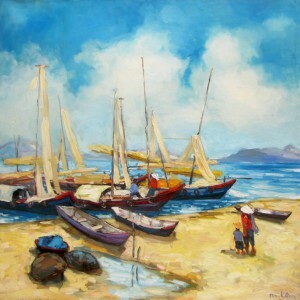 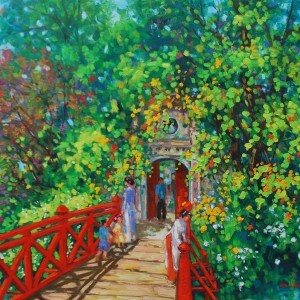 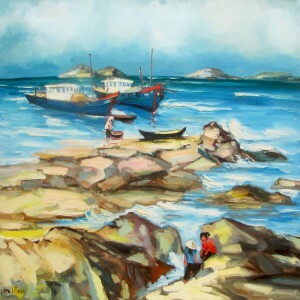 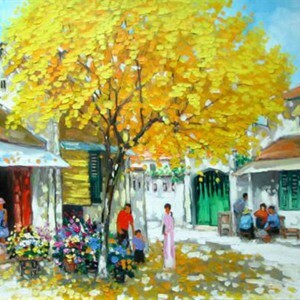 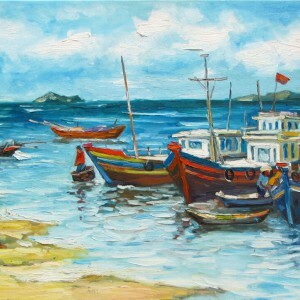 Lam Manh is a contemporary Asian painter whose canvases are always full of sunlight and happy cheer. 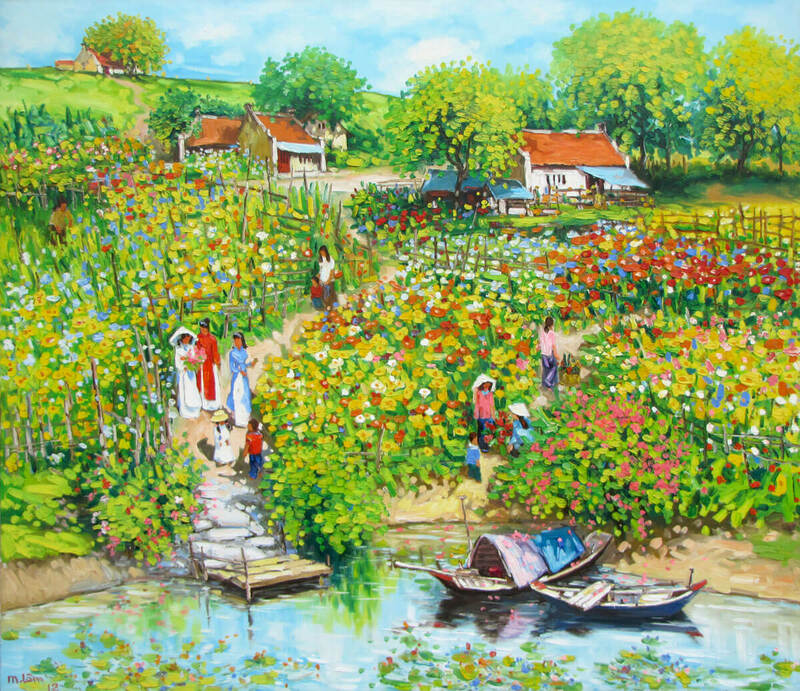 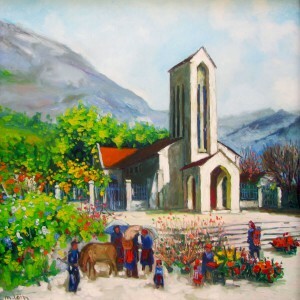 A true symphony of the vivid colors, predominating with greens, yellows and blues, he conveys a feeling of the quiet rural life effectively to us. 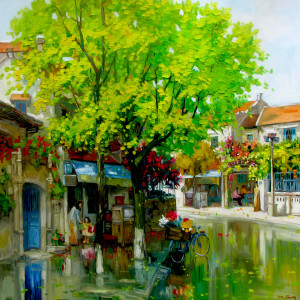 The uplifted angle of view helps to amplify this cheerful impression even more.